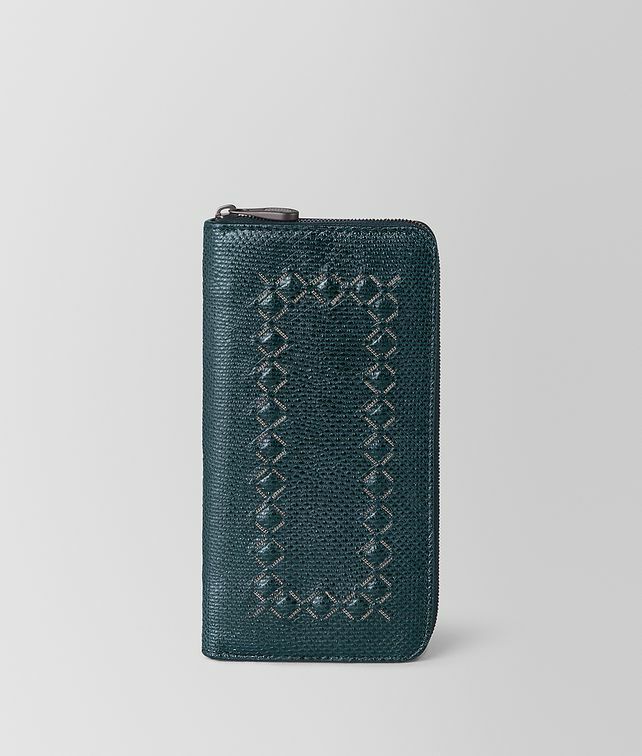 Equally practical and luxe, this zip-around wallet is crafted from precious karung leather that is carefully hand-brushed to create a shiny bi-colour effect. The design is embellished with tiny brunito studs in a pattern recalling our iconic intrecciato weave. The nappa interior is fitted with twelve card slots, two compartments for notes and an interior zip pocket for coins. Finished with an intrecciato-engraved zipper pull. Width: 2 cm | 0.7"